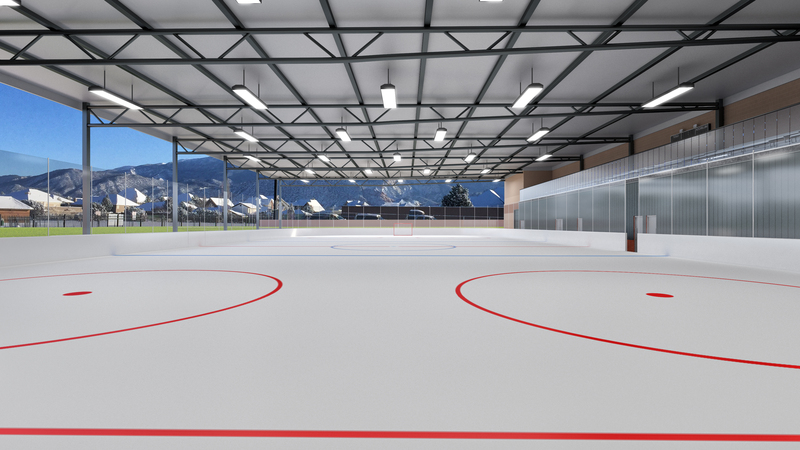 CEDAR CITY — Plans are moving forward on a proposed ice rink facility upgrade and pavilion to be built at Cedar’s City’s Aquatic Center. 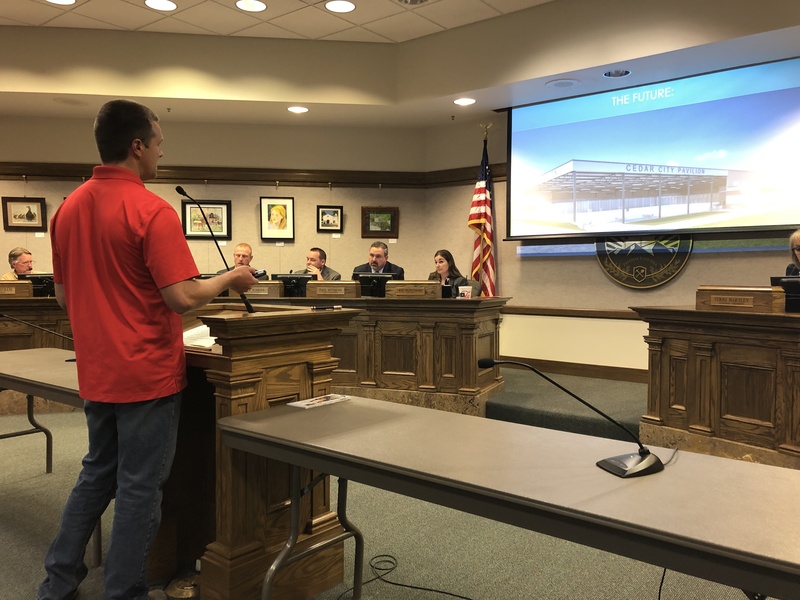 At its regular action meeting Tuesday evening, the Cedar City Council unanimously agreed to enter into a memorandum of understanding with Staheli Rec. Management, a nonprofit private enterprise that plans to operate the rink under a new 20-year lease agreement with the city. Dallin Staheli, general manager of Staheli West company, showed the council members and other city officials a slideshow that explained the proposal in detail, along with the history and evolution of the current ice rink known as “The Glacier,” located at the city-owned property at 2090 W. Royal Hunte Drive. What started out as a simple ice sheet surrounded by straw bales six years ago is now a popular wintertime venue that hosts everything from large-group skating parties to collegiate hockey games, he said. After taking over the operation three years ago from a group called YETI — Youth and Enthusiasts Together for Ice, Inc. — the Stahelis have been managing and operating the current rink for the past three years. Staheli said his company envisions an upgraded facility, dubbed Cedar City Pavilion, which will provide local residents with various year-round recreation options. Upgraded features and amenities include adding a roof to shelter the rink from the elements, although the structure will still be open to the outside on the north and east sides. Additionally, the ice sheet will be increased to NHL regulation size for hockey, with spectator seating also being added. 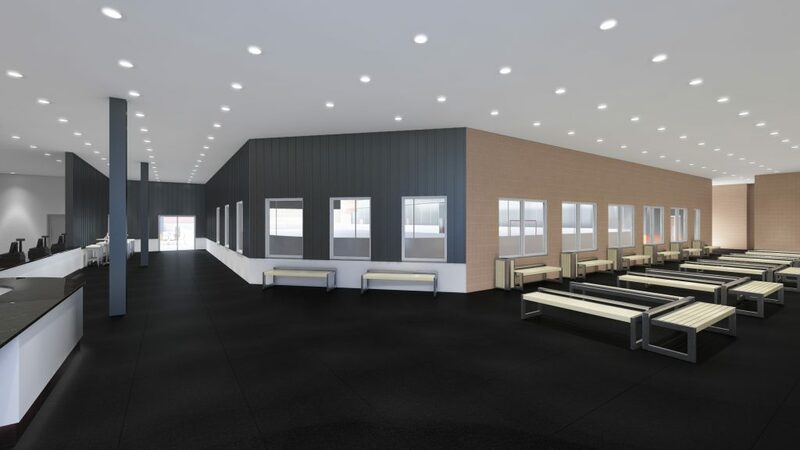 In addition, there will be a heated indoor lobby with concession area, restrooms, expanded skate rentals, locker rooms and changing areas, Staheli said. 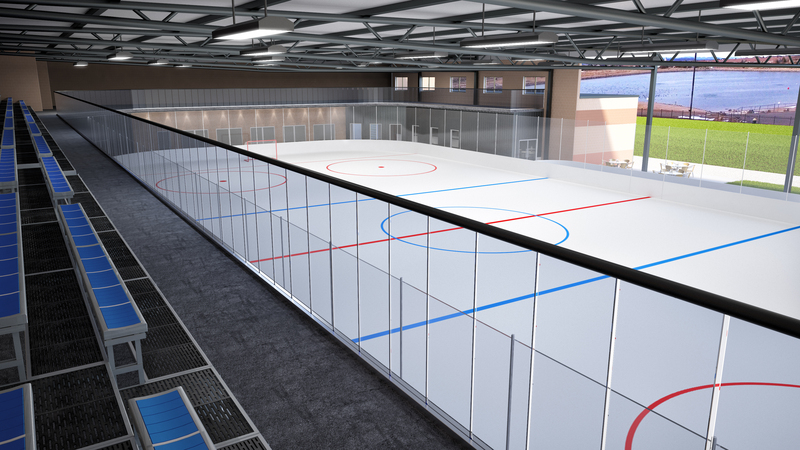 Outside of winter months, the ice rink would revert to a concrete surface, where it could be used for roller skating and other sports, including pickleball, dodgeball, volleyball and various other activities, Staheli explained. The total cost of the upgrade project is estimated to be between $2.2 million and $2.8 million, but Staheli said they will work to get the price down to the lower end of that range. According to the proposal outlined in the Memorandum of Understanding, the Stahelis will privately fund the cost of constructing the building and facilities, with the city just picking up the tab for the utility bills, not to exceed $85,000 annually. Staheli said at the meeting he expects the actual amount of the utility bills to be considerably less than the $85,000 mentioned. He also said the chilling system used for the ice could be used to heat water for the swimming pools in the adjacent building, thereby saving the city even more money. The memorandum, which simply allows both parties to move forward with the proposal until a formal lease agreement can be signed, does have built-in opt-out clauses. “Exit strategy” options, including those covering both positive and negative future scenarios, were also addressed during the meeting. The relatively unusual public-private partnership prompted multiple mentions of the phrase “think outside the box” by those in attendance at the council meeting. “I have a box cutter,” quipped Dave Staheli, Dallin’s father and owner of Staheli West. The elder Staheli also addressed the council Tuesday, answering questions and concerns. One of the issues raised by a few residents included the pressing need for more basketball/volleyball gym space, as mentioned by city sports and recreation program manager Jennifer Weaver during a separate presentation made earlier in the meeting. However, the Stahelis said the ice pavilion proposal still leaves open the option for indoor gymnasium facilities to be built in the future, either at the same place as the rink or in a different location..
City Manager Paul Bittmenn said during the meeting that the city is due to retire a substantial portion of its debt obligations in a couple years, which could possibly free up additional city funding for gyms and other needed facilities. Now that the green light has been given by the council, Dallin Staheli told Cedar City News the next step for his company is to secure financing and obtain developers’ detailed construction plans. Councilman Paul Cozzens, one of the four council members who unanimously voted in favor of the proposal Tuesday night, said afterward the decision was “a no-brainer,” in his opinion.